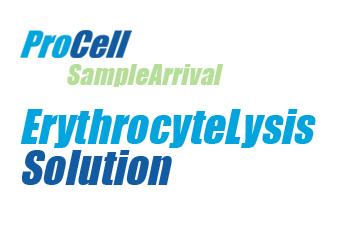 Erythrocyte Lysis Solution is a simple pretreatment of heavily blood-stained amniotic fluid samples which quickly removes heavy red blood cell (erythrocyte) contamination. Unlike many similar products used in molecular biology that lyse red blood cells, this product is extremely gentle in its action and is specially suited for cell culture work. It is well documented that high concentrations of red blood cells inhibit growth of cells from amniotic fluid by restricting colony size. This product will not prevent maternal contamination from occurring because it has no effect on white blood cells. Erythrocyte Lysis Solution is a simple pretreatment of heavily blood-stained amniotic fluid samples which quickly removes heavy red blood cell (erythrocyte) contamination. Unlike may similar products used in molecular biology that lysis red blood cells, this product is extremely gentle in its action and is specially suited for cell culture work. It is well documented that high concentrations of red blood cells inhibit growth of cells from amniotic fluid by restricting colony size. This product will not prevent maternal contamination from occurring because it has no effect on white blood cells. 1. To make the working solution aseptically dissolve the supplied stock solution in sterile water up to 1 litre. Mix well before use. 3. Centrifuge 10ml of amniotic fluid for 10 minutes at 900-1000rpm. 5. Erythrocyte Lysis Solution and mix gently. 6. Centrifuge at 1500 rpm for 10 minutes. 7. Remove supernatant and wash in 3 mls of culture media to remove any residual Erythrocyte Lysis Solution.